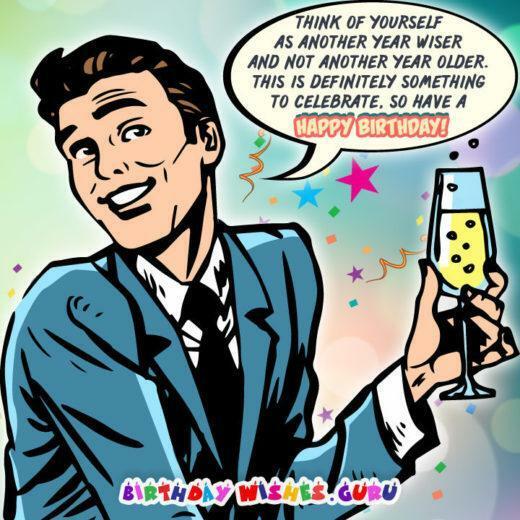 Birthday wishes are simple enough to find in the form of greeting cards. Personal messages are more difficult to create, but so much more meaningful. When it comes to wishing your fiance’ a Happy Birthday, the words must be thoughtful, loving — perhaps a bit naughty or humorous. You want to convey the unique nature of the relationship, creating a heartfelt message that just may end up in a scrapbook. These birthday wishes can help set the tone for the many years of wedded bliss the two of you will share. Here are some ideas to spark your own imagination. 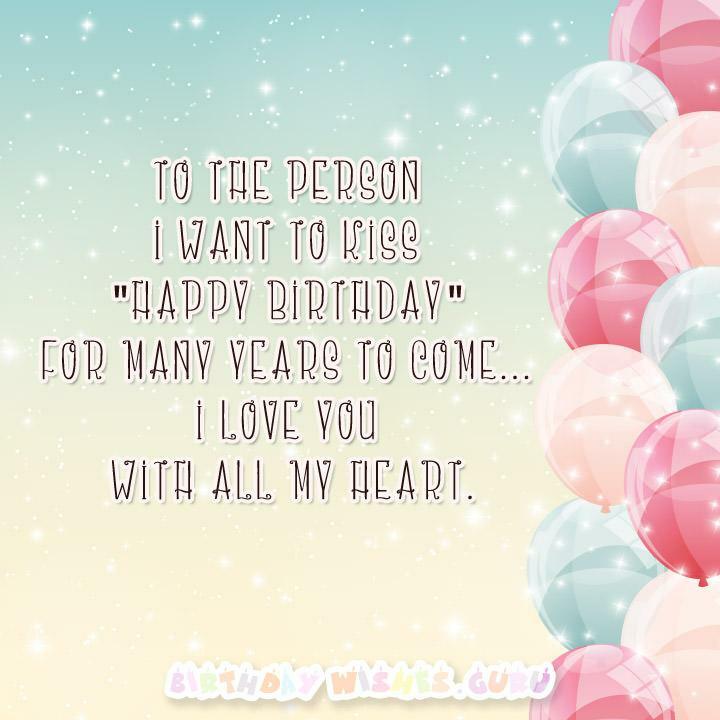 To the person I want to kiss “Happy Birthday” for many years to come… I love you with all my heart. You are the cutest fiance’ and birthday boy EVER! I should know; I picked you out special. From the first day we met, I knew I wanted to share all the joyous moments of your life. So, Happy Birthday — the first of many. Instead of a room of guests, let’s spend your birthday alone so I can whisper “Happy Birthday” softly in your ear. God has blessed me with the perfect partner to share my life with, so “Happy Birthday” my love and many more. Your birthday today reminds me that soon I’ll begin wishing my husband a “Happy Birthday” year after wonderful year. Hey baby, let’s do it with party hats on our heads. Cut your birthday cake with hats on — what did you think I meant? Since we’re planning our wedding, there’s pressure to make your birthday celebration equally impressive. Happy Birthday. Balloons in place, birthday cake made, gift wrapped, yet I can’t wait until everyone leaves and I’m alone with my fiance’. Since we’re engaged, I know we’re going to happily grow old together. So, Happy Birthday, you whipper-snapper! Hey, sweet fiance’ — I made your birthday cake and I have frosting left over. Any ideas what we might do with it? I’m going spend your birthday being grateful for the day you agreed to marry our lives together. Love you, babe. Roses are red, this birthday’s for you. I’m a fiance’ and so are you. Okay, I’m no poet — anyway, Happy Birthday! After we get married, let’s start spending every one of your birthdays making love. Let’s start that tradition today. Thanks for being born (to your parents, actually), thanks for loving me, and thanks for spending your birthday with me! What’s the fiance’ role on your birthday? Showing you all the love I have inside (with confetti). Happy Birthday to my fiance’, my lover, my rock, my best friend, and the most adorable birthday girl in the world. Planning our wedding, planning your birthday party, planning our lives together, planning on being happy. Until the occasion of our wedding, I hope this birthday fills your day with the best memories, fun and happiness. We’re married soon, so use this birthday as a bachelor party “dry run” — test your limits now, please. I’ll be here today to celebrate your birth, tomorrow as we plan our wedding, and forever to love you. How did this birthday creep up on us? Happy Birthday, honey. Our wedding day will be creeping up on us too. Happy Birthday to my fiance’, we’ll be happily married soon. Dance and eat cake today and pop your balloons. Of all the people who were born on this date, God has graced me with you, my sweet fiance’. Enjoy the day. “Birthday” indicates a “myrth” day (celebration), so “betrothed” must indicate “unclothed.” Your gift arrives later (wink, wink). Happy Birthday, you party hat wearing, confetti tossing, gift opening, candle blowing fancy fiance’. We’ve got our wedding plans wrapped up, and your birthday gifts are wrapped up and waiting for you too. Happy Birthday! Happy Birthday to my sweet fiance’. You are SO sweet that birthday cake frosting has nothing on you! Happy birthday to you, happy birthday to you, you look like a fiance’ and a birthday boy too. Hugs and kisses.